(D7/RDN) (Buenos Aires) 1992 - 2003. Photos. Framable Color Prints and Posters. Digital Sharp Images. Aviation Gifts. Slide Shows. 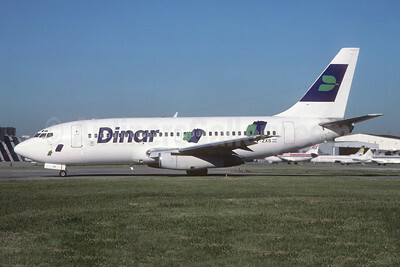 Dinar Líneas Aéreas (Aero Continente) Boeing 737-247 OB1619 (msn 19616) AEP (Christian Volpati Collection). Image: 945590. 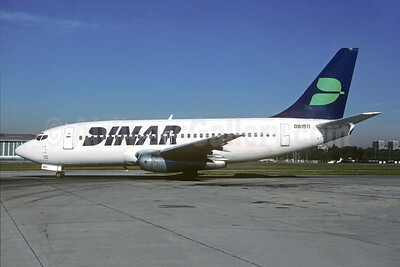 Dinar Líneas Aéreas (Aero Continente) Boeing 737-281 OB1511 (msn 20277) AEP (Christian Volpati Collection). Image: 944105. 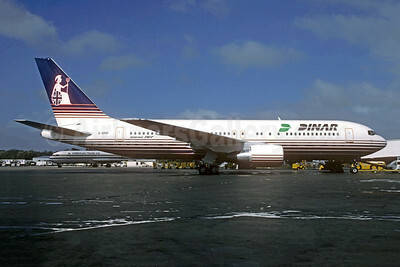 Dinar Líneas Aéreas (Britannia Airways) Boeing 767-204 ER G-BRIF (msn 24736) (Britannia colors) CUN (Christian Volpati Collection). Image: 945591. 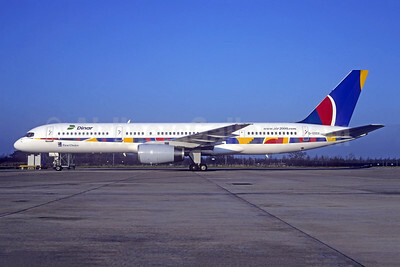 Dinar Líneas Aéreas (First Choice Airways) Boeing 757-2Y0 G-OOOX (msn 26158) (Air 2000 colors) MAN (Christian Volpati Collection). Image: 944107. 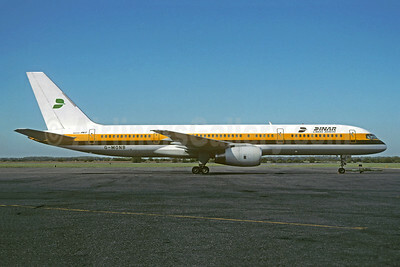 Dinar Líneas Aéreas (Monarch Airlines) Boeing 757-2T7 G-MONB (msn 22780) (Monarch colors) EZE (Christian Volpati Collection). Image: 944108. 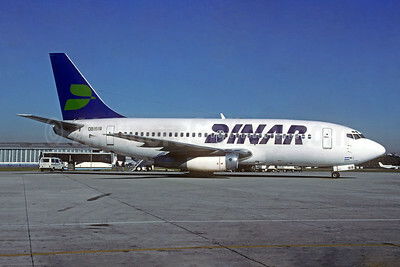 Dinar Líneas Aéreas Boeing 737-201 LV-ZXS (msn 20211) AEP (Christian Volpati Collection). Image: 944104. 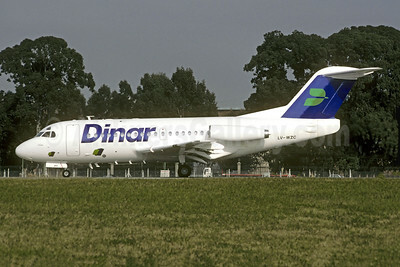 Dinar Líneas Aéreas Fokker F.28 Mk. 1000 LV-WZC (msn 11017) AEP (Jacques Guillem Collection). Image: 920331. 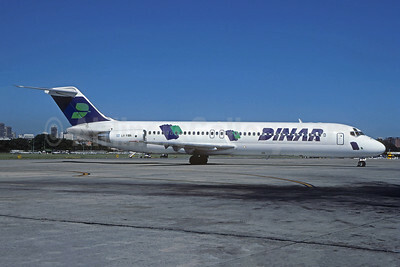 Dinar Líneas Aéreas McDonnell Douglas DC-9-41 LV-YOA (msn 47606) AEP (Christian Volpati). Image: 944106.